What do Buddhism and Islam have in common? And what positive characteristics might Buddhist Japan and Muslim Indonesia be able to offer one another? In this thoughtful and wide-ranging discussion which draws on creative artists and thinkers as diverse as Beethoven, Goethe, Tolstoy, Thomas Jefferson and Akira Kurosawa distinguished representatives from each country demonstrate that meaningful dialogue between religions and cultures begins with a one-to-one conversation between individuals. 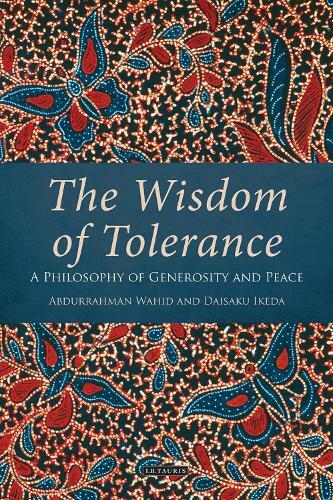 Addressing the similarities of their nations as island peoples, with a shared history of trade and cultural exchange, Abdurrahman Wahid and Daisaku Ikeda agree that the aim of dialogue, like that of Buddhism and Islam alike, is fundamentally the goal of peace. A pivotal moment in the conversation comes when reference is made to the Indonesian story of the Bamboo Princess, from the Chronicle of the Kings of Pasai; this is seen to bear close resemblance to the Japanese Taketori Monogatari, or `Tale of the Bamboo Cutter'. Such narrative interrelationship which can be discerned even in the midst of religious and cultural distinctiveness emerges as a powerful symbol of the common humanity not just of Indonesia and Japan but of all cultures. Both thinkers continue to draw on their respective traditions, on their personal experiences of war and adversity, and especially on the lives of the Buddha and the Prophet Mohammed, to show that harmony springs from an attitude of tolerance and nonviolence which is where true courage resides. Whether masterfully expounding the teachings of Nichiren, or indicating that a proper understanding of jihad is not about religious conflict but about communicating the truth of Allah, the discussants mutually transform our understandings of value, pluralism, and amity.